Smart gym equipment has begun to revolutionize what it means to have a ‘smart’ workout session with the latest connected fitness devices transforming the health and fitness landscape. 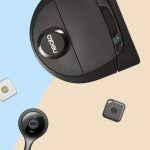 Our guide to the best smart gym equipment and devices will walk, jog, and run you through the latest and greatest connected home gym equipment to power up your routine and bring your workout to the next level. Bringing tech into the world of exercise is by no means a new phenomenon, however with many fitness equipment companies increasingly collaborating with technology companies and integrate smart features into their equipment, a new standard for smart gym equipment has now begun. In this guide we’re going to take a look at the very best smart gym equipment, devices, and systems to help you leverage connected technology to reach your health and fitness goals. The foundation of every piece of smart gym equipment is essentially whether it provides the functionality to track, monitor, and even alter your workout through the use of some form of connected tech or paired device. When it comes to dedicated smart gym equipment such as smart treadmills, turbo trainers, or smart rowing machines for example, this connectivity may be a companion app that utilizes either third-party software (such as iFit) through your smartphone or smartwatch as an interface, and some smart gym devices may offer direct compatibility through their own software. Smart gym devices extend way beyond the remit of traditional home gym equipment though, covering things such as smaller smart workout devices, wearable fitness monitors, and increasingly, dedicated smart watches which bring a number of features activity tracking to your regular routine. The other approach which is growing up alongside dedicated smart gym equipment and devices are app-based systems that look to retroactively take existing or non-smart workout equipment and bring it into the world of smart connectivity, allowing you to build a completely tailored, smart workout regime based by hooking your gear up with these systems – we’ll be taking a look at these too. So with all that being said, grab your water and a towel and let’s get into the best smart gym systems currently available for helping you smash your goals. Smart bike trainers allow you to hook a regular road bike up to a stationary indoor frame, connect to an app and get as close to the real thing as is possible without leaving the living room. In practice of course, this means that with smart turbo trainer systems, you’re looking at a complete training simulation using your actual bike which is perfect for use on those wet and windy days (bonus – no bike cleaning required) as well as winter training when heading outdoors is simply not practical. The best smart trainer systems will act as the intermediary and rolling road between your bike and your smartphone or device, allowing you to take total control of your ride and utilizing adjustable resistance levels, pre-programmed workouts and more to simulate inclines and ‘real world’ surfaces. As well as this, smart bike trainers let you track your metrics and stats within the app and when paired with certain apps and software, can even visually simulate a ride on screen for a truly immersive workout experience. 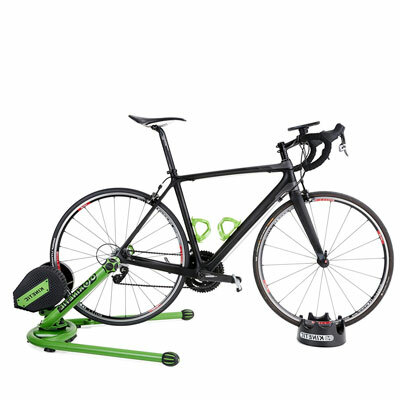 Kinetic are undeniably one of the leaders in the field when it comes to app connected smart turbo trainers and the Rock and Roll Smart Control Bike Trainer is one of the best examples of why this is. Allowing you to connect virtually any bike to the system, this smart bike trainer comes fully assembled and provides a smooth and progressive delivery of resistance from the brand’s patented fluid resistance unit. The frame of this smart trainer utilizes a patented design which mimics the effect of riding on a real road, rather than the usual ‘stationary’ feeling you get with most other turbo trainer systems or traditional cycle machines. What this means of course is that when the device (and your bike) are connected to an app via a smartphone, tablet, or laptop, you’re going to get an incredibly realistic simulation of taking the bike outdoors for real – perfect for cold mornings and rainy days. Once your bike is connected to the base unit, you’ll be good to go, and pairing with the Kinetic Fit App will allow instant tracking of your stats as well as allowing you to execute pre-designated workouts, altering the resistance when required and allowing for the simulation of different terrain types. Smart trainer systems need to offer compatibility with an app interface. The best smart trainer systems need to offer compatibility with multiple systems. When paired with a Bluetooth-connected smartphone, tablet, or laptop, the Rock and Roll works with Kinetic’s own companion app – Kinetic Fit – as well as with leading systems such as Zwift and TrainerRoad giving a good level of flexibility and variety when it comes to getting the most out of the device. 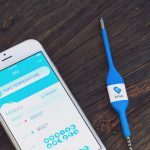 While the device’s companion app ‘Kinetic Fit’ does require a subscription (totally worth it in our opinion), every smart trainer purchase from the brand includes a free 1-month subscription to get you started – and hooked – on the system. The mechanics of the device utilize what Kinetic calls ‘RQuiet’ to deliver a smooth and progressive resistance through a patented fluid resistance unit while a patented frame design offers a highly realistic ride, allowing you to bring the experience of outdoor riding directly into your home without all of the mud. Whether you’re training for a marathon or simply looking to keep in shape at home in the evenings, a high performance treadmill will allow you to stay active, no matter the conditions outdoors. 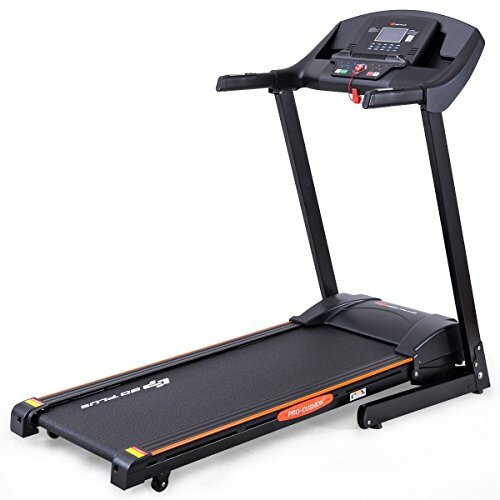 The best smart treadmills take this standard functionality further by allowing you to connect a compatible smart device such as a smartphone or tablet to your equipment at which point you’re going to be able to monitor your progress, track your activity, and even adjust the intensity of your workout directly from within an app. The smart functionality from this treadmill comes in the form of an app based interface providing Bluetooth control and allowing you to record the data of your workout on your phone or tablet. Storage for your connected device is also built in to the device with a tablet/phone holder making both screen access and visibility easy. On top of this, the Goplus features a 5″ LED display delivering the same essential stats for your workout on the device itself including time, distance, calories burned, speed, and heart rate metrics. 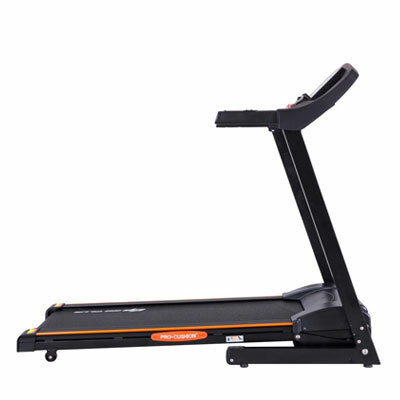 With an adjustable speed of between 0.5 and 10 mph, this smart treadmill also features 3 predesignated speed setting adjustments of 2, 4, and 8 mph allowing you to work up to your max speed during a training session. The running surface of this smart treadmill is driven by a 2.5 horsepower motor and the level of intensity offered during your workout can be adjusted by altering the the inclination of your running surface from 0-15% with 3 quick presets of 3, 6, and 9%. In terms of practicality, the Goplus sits on 4 casters and utilizes a folding design, meaning movement and storage of the device is piece of cake when not in use. Stationary smart exercise bikes differ from their traditional counterparts in that they’re able to tie up with a compatible fitness app on a smartphone or tablet using a wireless connection to track your performance metrics, measure your activity, and even adjust the intensity of your workout. With many of the best smart exercise bikes providing some form of bracket or holder on the front of the device for securing your phone or tablet in place, you’re going to have an at a glance display and interface that can be used throughout your training to both monitor your performance as well as adding or reducing workload through controlling the resistance of the machine directly from an app. 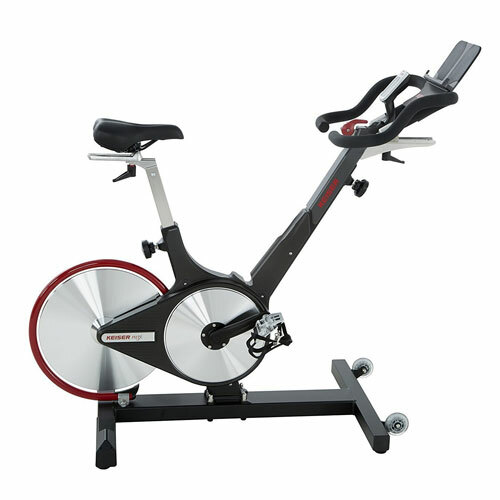 A smart cycle machine is a good choice if you don’t currently own a regular bike (such as a mountain bike or road bike), however if you do, a good alternative is a smart trainer or ‘turbo trainer’ which will deliver almost identical results, while allowing you to hook your existing bike up to a stationary wheel bracket to use indoors. If you’re looking for one of the very best smart spin bikes on the market today, start with the Keiser M3i as a benchmark. 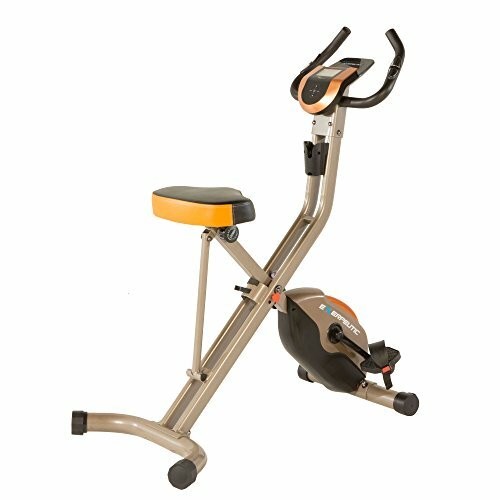 Keiser are known as one of the top names when it comes to indoor exercise bikes and spin cycle systems and the M3i Indoor Cycle is the perfect expression of the brand’s reputation in the age of the smart gym. 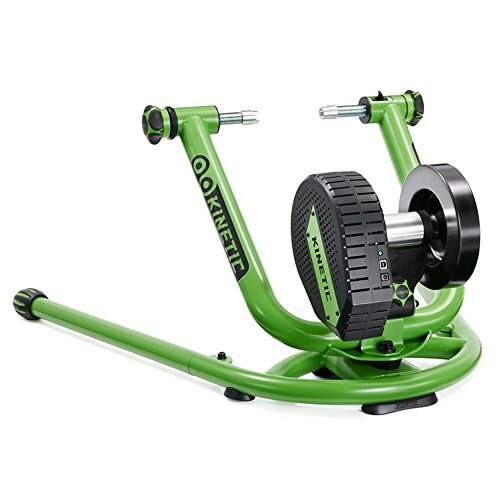 While providing a super-quiet road bike riding experience within your home gym, the M3I utilizes a magnetic resistance system and unique drive train design to also provide immediate and accurate ride metrics to the digital display – an essential consideration for a smart exercise bike. Talking of the digital display, the M3i visual interface is beautifully simple and streamlined, delivering everything you need to know on a single back-lit display which automatically activates (and remains on) when the light drops below a certain level, an incredibly useful feature if you’re planning to use a smart spin bike in the evening or low light conditions. Smart gym functionality comes in the form of the M3i’s Bluetooth connectivity and open API offering the ability to to download data on ride metrics straight to a connected smartphone or tablet. One of our favorite connected features of this smart exercise bike though, is the ability to wirelessly and simultaneously communicate with group class projection systems, meaning you can view your stats on a connected screen or projector alongside others – in a spin class for example. This smart projection capability is further extended by the compatibility of the M3i with major projection system providers including Fitmetrix, BKOOL, Heart Zones, and more. One of the unique offerings from Keiser when it comes to indoor exercise bikes is the focus on frame design which ‘scales up’ the frame angles (rather than just allowing the handlebars and seat to raise), utilizing a v-shaped frame to provide a true indoor road bike experience for riders of all sizes. 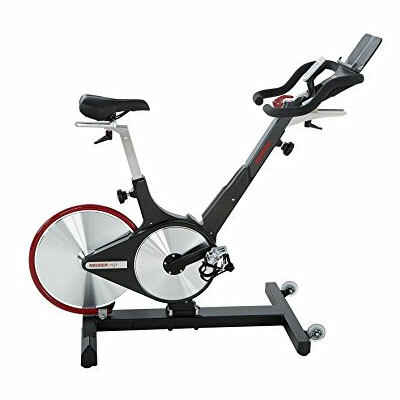 Another innovation that Keiser brought to the home exercise bike market was the movement of the vulnerable workings of the cycle (such as the flywheel) to the rear of the device, removing these elements from the front, an area that’s known in the industry as ‘the sweat-zone’. 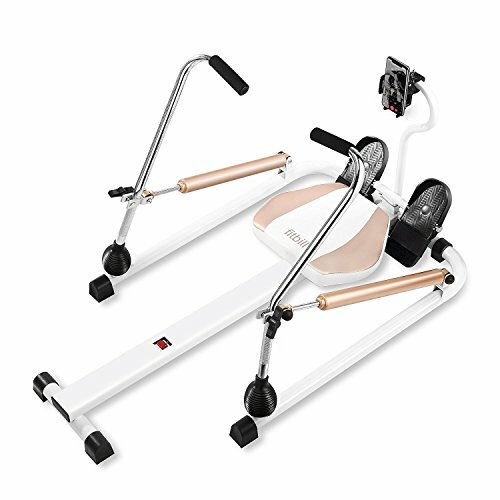 The Exerpeutic Gold 575 XLS is a connected smart exercise bike that utilizes Bluetooth to allow tracking of your workout on compatible iOS systems through the myfitquest4 app. A backlit LCD computer on the bike itself gives you a heads up display of your main metrics such as speed, distanct, time, and calories burned, as well as providing 21 preset workout programs that can be activated at the touch of a screen. All of this functionality is of course carried across to connected compatible tablet or phone and can easily be viewed on your paired device (as can movies or shows during your workout) thanks to the inclusion of a built in tablet and smartphone holder. Offering a high durability steel frame construction with a weight capacity up to 400 lbs, the 575 XLS is adjustable for use for users between 5’1″ and 6’5″ in height, and is foldable for easy storage when your ride is complete. Rowing is undoubtedly one of the best forms of all-round exercise when it comes to maintaining a high level of fitness, combining comprehensive strength training for a variety of muscle groups and a thorough cardiovascular workout to match. As with other smart gym equipment, the ability to connect a compatible smart rowing machine with a partner app is going to give you a whole load of additional functionality to help maximize the effectiveness of your training. 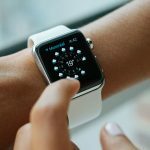 From measuring the time and distance rowed to calories burned, activity tracking through a connected app is incredibly useful for monitoring your long term gains and for analyzing your long-term performance. Not only will app connectivity allow you to do this, but with the very best smart rowers, you’re also going to be able to control the intensity of your workout direct from your connected device. When paired up with the free companion app, the f.Row Smart Rowing Machine delivers a whole host of connected features and functionality you;d expect from a rower designed for use in smart home gym. 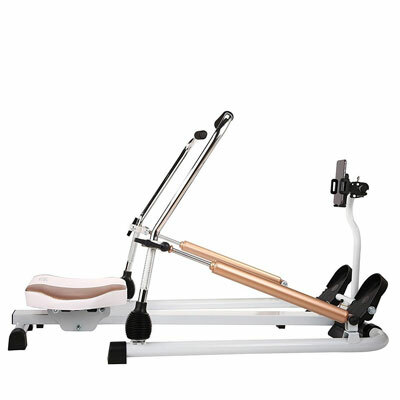 In terms of the standard functionality provided by the f.Row, the device provides multiple levels of adjustable resistance and individual rowing ‘arms’ which can in turn be independently adjusted for resistance. Smart features are accessible once you connect the machine to a Bluetooth enabled smartphone or device, at which point, the Fitbill app will provide you with the interface for activating pre-configured smart rower training programs, creating a custom program, and monitoring and tracking your workout data and metrics on screen. A smart device holder at the front of the rower means you can place your connected device in an appropriate place for viewing your data during a workout as well as watching a show or movie to help keep you going through those longer sessions. If you’re looking for a cost-effective smart rowing machine that delivers a simple yet effective design alongside a good level of smart and connected functionality, the n the F.Row ticks all of the boxes for providing a smart all-body workout with minimal fuss. Cross trainers or Elliptical Trainers are the perfect exercise solution for simulating walking, running, and stair climbing without putting excessive pressure on the joints during your workout. Smart elliptical trainers take this functionality further and allow you to track, monitor, and control your cross training session through a wireless connection on a smartphone or tablet. The 2000XLST combines a traditional cross trainer with the functionality of a smart elliptical machine to deliver a fitness solution that performs well as a hybrid smart gym solution no matter which version of it you choose to use. Smart connectivity is offered through a wireless Bluetooth connection that allows you to pair with a smartphone utilizing the MyFitQuest4 app on iOS devices for tracking the results of your workout. 21 preset workout programs form the backbone of the training regime built into the 2000XLST while a heavy duty stainless steel construction offer durability in the system and allow a user weight of up to 275 lbs. 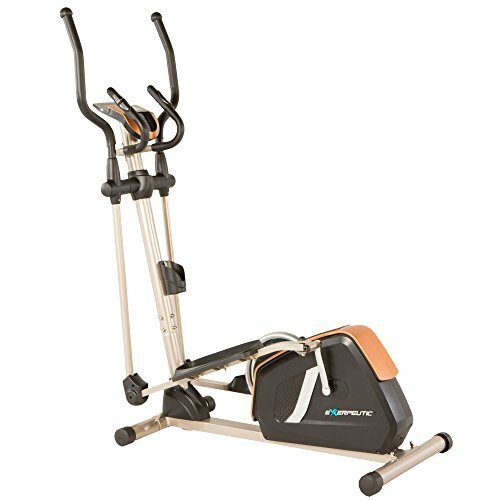 This durability is further strengthened by a 3 piece crank system and a heavy duty, exposed fly wheel which allows the elliptical machine to deliver smooth momentum during exercise sessions. 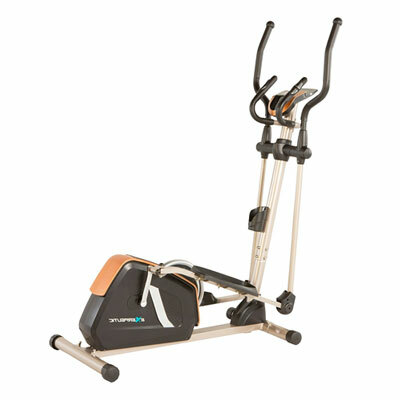 The Exerpeutic Smart Elliptical Trainer includes a back-lit LCD display for showing the essential metrics of your workout such as speed and distance, pulse, and calories burned. When it comes to finding the best smart gym devices for your specific requirements, there are number of things to take into consideration to ensure you get the right device for the job. Top of the list when it comes to smart gym equipment is the ability to pair your device or fitness gear with an app on a smartphone or tablet. This is essentially the entry level requirement for a smart gym unit to be considered ‘smart’ and at the most basic level, will allow a certain degree of feedback from the device itself to your smartphone or tablet (distance run/cycled/rowed, calories burned, heart rate etc), through to actually allowing control and alteration of your equipment direct from within the app interface. In the case of this more advanced functionality, you’re going to be able to do things like increase factors such as resistance or speed as well as have the system run pre-configured workout routines at the tap of a screen. Either way, being able to tie your smart gym equipment up to an app will allow you to track and monitor your activity – incredibly useful if you want to view your gains and progress towards goals.